This article was original published by David Hamilton on coincentral.com the 19th of July 2018. Blockchain technology is expanding at an astonishing rate. This technology is creating a prosperous environment for entrepreneurs seeking to start a Bitcoin business. It has been an exciting ride for BTC investors, and over the last nine years, considerable growth has occurred in the crypto space. Today, there are numerous Bitcoin business opportunities to consider. Your quest for the perfect BTC business should start with research. Bitcoin business opportunities are everywhere, but it is important to remember that not all countries are pro-bitcoin. China allowed only one BTC ATM to operate until banning ICOs in the country last year. Today, that BTC ATM sits in the lobby of the headquarters of BTCC, decorated like a Christmas tree, with no BTC available. To avoid losing your investment, you should consult your local legislation before choosing a particular business model. Countries vary on their crypto legalities. To avoid a worst-case scenario, such as getting thrown in jail and having all of your crypto confiscated, you need to consult with your local government. A lawyer can make this part of the process easier. Some lawyers specialize in cryptocurrency related manners, such as Lee Schneider from the prestigious law firm McDermott Will & Emery. Mr. Schneider explained how his practice is now solely dedicated to blockchain technology in a recent interview with theinformation.com. He’s not alone either. There are a growing number of law firms turning to the budding crypto market in search of new clientele. Your available funding will play a crucial role in determining what business model best fits your criteria. Not all Bitcoin businesses cost the same. There are various low cost start up BTC businesses, such as BTC ATMs and merchandise. You can start either of these businesses for under $20,000. There are also BTC businesses that require very large investments. You will need significant capital if you are considering opening a sizable mining operation. ASIC mining rigs are expensive to purchase and operate. You could very easily spend a significant amount of your funding on mining rigs alone. For example, the current industry standard is the Antminer s9. These units cost $698. A large size mining operation could easily consist of one hundred Antminer s9s. Many large mining farms even include thousands of mining rigs. A mining farm of this size would require a $700,000 investment before any other costs involved with the business, such as location, staffing, and installation. Bitcoin lending specializes in providing startup capital. These services can bolster your funding significantly when used correctly. Bitcoin lending services can be a great way for you to start a Bitcoin business without spending all of your hard earned crypto. One example of a Bitcoin lending platform is Unchained Capital. Unchained Capital will lend you USD and allow you to use your Bitcoin or Ethereum as collateral. Users are permitted to borrow up to 50 percent of the value of their crypto collateral. And, the loans are available for three-month and two-year terms. The downside is that you’re looking at a ten to fourteen percent interest rate on your loan. But, you may find that your potential business can accommodate for these interest rates and still produce a sizable profit. There are a number of popular types of BTC businesses flourishing across the globe. You will find that some of these are better suited to your location than others. There is no one-size-fits-all when discussing Bitcoin businesses. Only research will help you to determine the best investment options. Let’s take a moment to look at a couple of the most popular BTC business models seen today. Bitcoin ATMs are starting to become more popular. These devices allow users to purchase, send, and sell BTC anonymously. The cost for this anonymity comes in the form of transaction fees that are much higher than online alternatives such as Coinbase. A BTC ATM can provide you with a significant income if placed in the right location. You will want to verify their legality in your country before purchasing a unit. The advantage of a BTC ATM is that it is an automated business system, which only requires you to keep the machines hot wallet stocked with BTC. The downside is that price fluctuations can affect the value of the BTC in your hot wallet. In many countries, such as the US, your BTC ATM will only be permitted to sell BTC to users. Selling BTC directly for fiat without KYC compliance is illegal in the US because of the fiat currency laws. Customers can buy all the BTC they want from your machines, but they will have to go somewhere else to sell it. Bitcoin remittance firms are booming across the globe. 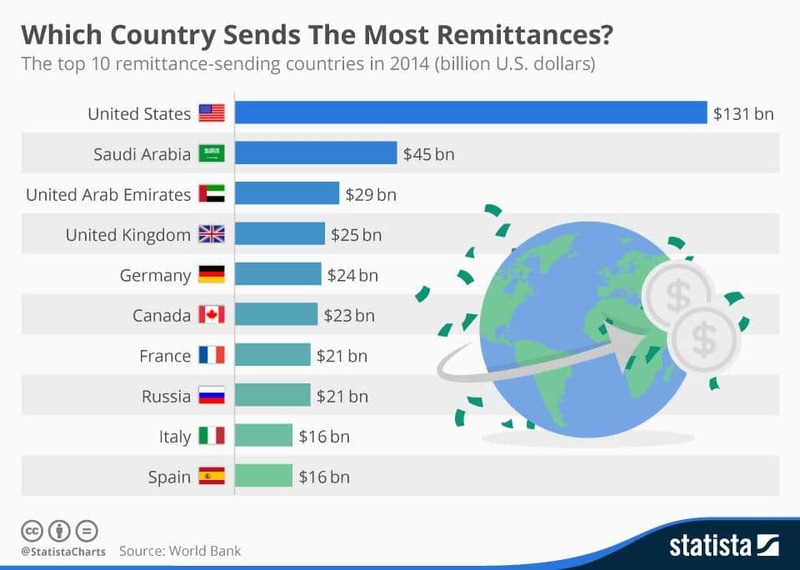 Remittance firms send money internationally. Nations such as India and South Africa rely heavily on remittance payments. BTC remittance firms can provide these clients with a cost-effective alternative to the traditional process of sending money internationally. Crypto remittance services provide clients with instant transactions and reduced rates. A crypto remittance company can be a smart Bitcoin business to consider if you live in an area where remittance payments are a key component of the local economy. BTC mining is still profitable thanks to the development of high-powered mining rigs and mining pools. Mining pools combine the processing power of every user on the network. The added leveraged hash power gives mining pools the ability to increase the effectiveness of all the miners involved. The miners split their profits earned according to their hash contributions. Today, Application Specific Integrated Chips (ASIC) mining rigs are the best option for mining BTC. These chips are thousands of times more effective at calculating BTC’s Hash-256 algorithm than GPUs or CPUs. ASIC rigs are going to take up a considerable amount of your investment, though. You will also need to consider your operating costs. Regions with inexpensive or renewable energy options are better suited for mining operations. You may find that you’re not making a profit if you set up a mining operation in an area with high electricity costs. There are less than four million BTC to be mined. This scarcity should help to drive the demand for BTC up, and its price should increase accordingly. The last BTC is estimated to be mined by 2140. It’s exciting to see how blockchain technology is providing the world with a plethora of new business opportunities. Many people in the crypto space believe the decentralized market will continue to see growth for many years to come. By opening a Bitcoin business now, you are positioning yourself wisely in this digital economic revolution.